When you grow up at a mortician’s, you know a lot about embalming corpses, and your last name is Cleaver – as a teenager that’s enough to become an outsider. Indeed quite a few people are afraid of John: His therapist says he’s a sociopath, he himself is fascinated by serial killers and when two dead bodies are discovered within a short amount of time in the sleepy little town, he’s met with with questioning looks. What everyone but him fails or doesn’t want to see is that the offender seems not to be human, while John suspects he knows where the monster lives. Adolescents often consider themselves immortal, and this makes Billy O’Brien’s exceptionally dark development novel “I Am Not a Serial Killer” even more rewarding thanks to the way it ties the living with the dead. Max Records, best known from Spike Jonze’s “Where the Wild Things Are”, puts so much beauty in his lead protagonist. He enables him to grow into the unlikely hero, whereas Christopher Lloyd embodies his “old man” character so differently from his “Back to the Future”-eccentricity, one could be led to believe this is the movie he’ll be remembered for. 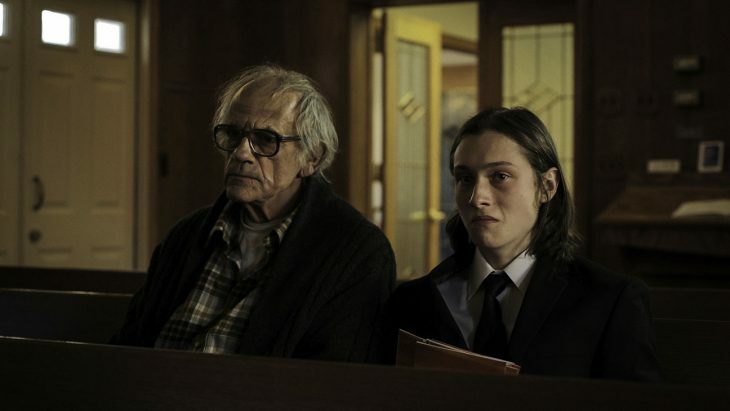 “I Am Not a Serial Killer” is the exceptional movie adaptation, that not only manages to strike the right chords, but to actually hold them, a splendid, profound outsider-ballad. In attendance of Billy O‘Brien.